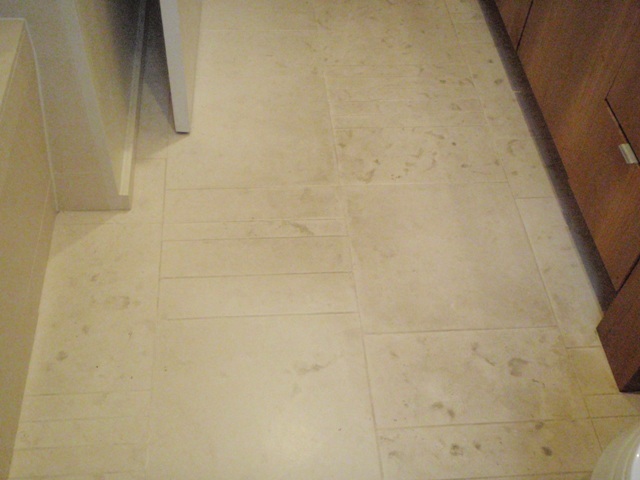 Cleaning limestone floors can be a challenge, especially if you haven't cleaned them in a while. If you have limestone floors you know what I'm talking about. Limestone is very porous, and absorbs liquids very easily. If you used a traditional mop and bucket when cleaning limestone, you need to make sure your water stays clean, so no dirty water will absorb into the limestone. We always recommend using micorfiber mops for cleaning limestone floors and a neutral floor cleaner for regular maintenance of your limestone floors. 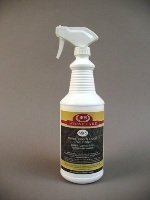 Click this link for a great natural stone tile grout cleaner to help you with deep cleaning of your limestone surfaces. 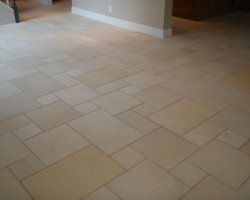 Cleaning limestone floors is the same as cleaning any natural stone and isn't a hard task. 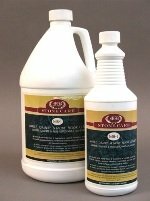 We always recommend neutral cleaners for all natural stone surfaces and that includes limestone tile. 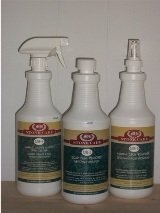 If you have more soiled limestone, you can use an alkaline cleaner that is safe for stone surfaces. Mop the solution on your stone and let it dwell 10-20 minutes making sure not to let it dry. Scrub the grout lines with a grout brush and the limestone tiles with a deck brush. Mop up the dirty solution and rinse with warm water a few times. What ever you clean your stone surface with, always rinse well and dry completely with a cotton or microfiber cloth. Drying it completely helps because any wet area left to dry, may have dirt left in it which doesn't evaporate like the water does. Now you're ready to seal your Limestone. See our sealing limestone page for how to seal limestone. When it comes to cleaning limestone or just maintaining natural stone and tile and grout, we strive to help educate our customers on the best protection they can have, helping them save time and money in costly restoration costs down the road.